**Cindy Williams, best known for her role as Shirley Feeney on the sitcom Laverne & Shirley, will be performing through May 2019. Catch her in the show while you can. ** “Menopause The Musical" will change your mind about "the change" as this hilarious comedy gets you laughing about hot flashes, mood swings, memory loss and weight gain. Best Price Guarantee | Vegas.com: If you purchase your tickets via the link provided on this page and find a better price for Menopause The Musical tickets for the seats purchased, Vegas.com will match the competitor's price and refund the difference. That’s customer care you can count on. There's nothing fun about hot flashes, mood swings, memory loss and weight gain -- until now. 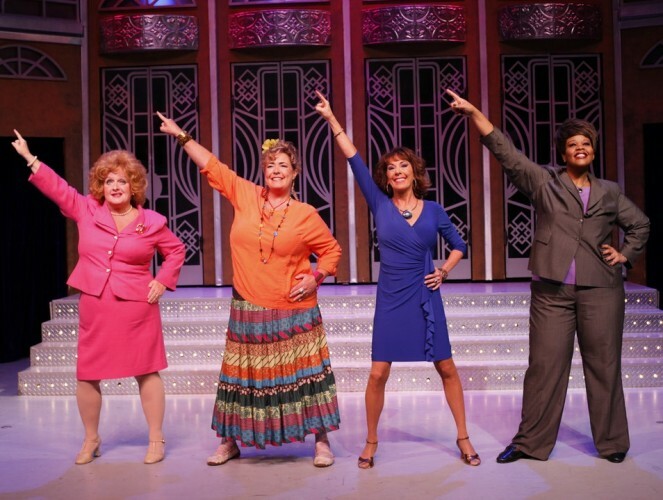 Menopause the Musical turns the aforementioned aging woes (and others) into a hilarious comedy with four wacky characters confessing their over-the-hill experiences to the tunes of popular '50s, '60s and '70s songs. The show is filled with solo and chorus tunes that jump between the all-too-real topics of hot flashes, Prozac and food… and they even manage to sprinkle a sexual comment in too. The show manages to provide different outlooks on aging while leaving no topic, no matter how taboo, untouched. This is an amusing and honest representation of real women enduring menopause. And while we all wish that we could simply skip over this little "milestone" in life, you're guaranteed to enjoy it a little bit more when it inevitably enters your life.